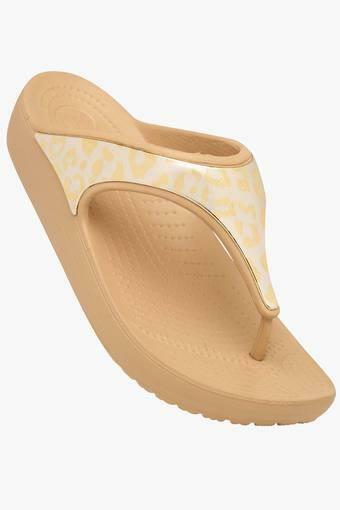 Flat sandals are always in fashion and this pair from Crocs will surely impress you with its cool design. It also has an ethylene vinyl acetate sole that ensures a better grip. 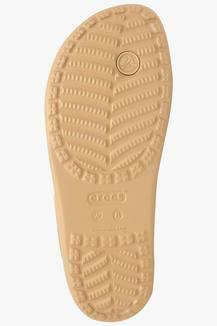 Besides, the crossover strap along with a metal detailing on it further lends it a chic appeal. 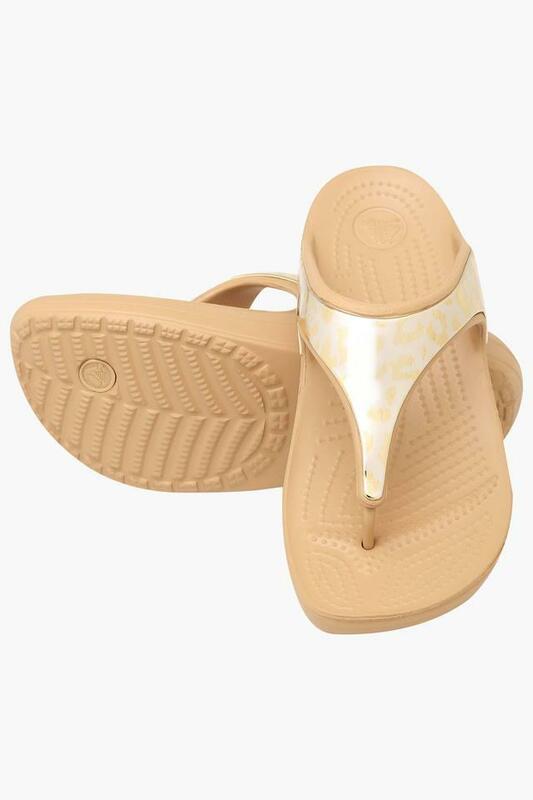 Simple yet fashionable, this pair of flat sandals will be a great choice for casual occasions. Featuring a slip on style, it will look great with most outfits like leggings, jeggings and jeans.